Many of us probably don’t even remember. I know sometimes it’s hard for me to recall? As a mother, I now envision some of the conversations I will have with my son. I imagine one of the things we will discuss largely is “how things used to be”. You know like most parents who sit back and reminisce about the good ‘ol days with their children (I know mine did)! 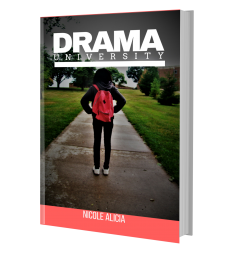 My debut novel “Drama University” coming this Fall, takes place in the early 2000’s, before social media even came about. Allow me to take you way back. Back before we even knew what goes down in the “DM’s” or what the hell a “selfie” was. Back in my day, all we had was “Black Planet”. 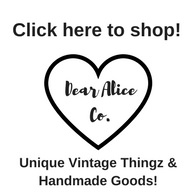 A place to create a profile and message folk back and forth from all around the world. Basically, a the first “Tender” for black folk. In fact that may have been the start of it all. Then there was something called Myspace. Remember, Myspace y’all? It’s like a blip in my memory now. If you wanted to talk to someone half way across the US, you could use instant messenger on your computer. Later they did come out with some sort of video chat on the computer too. Before Facebook and Myspace, we passed notes back and forth in class in high school. If a guy wanted your number at a party, you wrote it on his hand or a piece of paper. In college, cell phones were really just becoming a “thing”! I remember the first little phone I had with a color screen and a camera on it. That was huge deal! I really thought I was ballin’! The first cell phone was a Nokia 5110! The phone you could change to outer shell to, you know the phone that you could play that game “Snake” on and it had a green back-light. Anyways, back then phones where good for one thing, calling and text messaging. Who would have known that 15 some years later, most people would quit using LAN lines and just have a cellphone? I mean I can probably count on one hand the amount of people that have a LAN line in their house now. In high school, if you wanted to reach your boyfriend and he wasn’t home you had to wait for him to call you back when he got home. I remember paging one of my boyfriends and he called back from his granny’s house. That’s just how things worked back then. If you wanted to take pictures of yourself or your friends you had to use an actual camera, wait and then go get them printed at your nearest drug store. Now everyone can see where your at and who you’re with, with a click of the post button. I began college in the fall of 2002, much like my main character Melody Thomas in my upcoming novel. Now it’s so much easier for these guys to get caught up! But that’s a whole other blog post for another day! In 2005, a friend who attended CMSU (UCM or University of Central Missouri) had told me about this thing called Facebook that everyone at her school was on. I went on the site and our school hadn’t even been added. Matter of fact, It didn’t end up being added I don’t think for probably another 6 months! Facebook, as we know was the leader of this thing we now call social media. Now you could see who your boyfriend was friends with and what girls were writing comments on his page. I know this sparks a whole other discussion about relationships and social media. I have to admit, life was so much simpler back when we couldn’t see into that ex’s life with a click of a button. What do you remember about life before social media?